Hello friends! 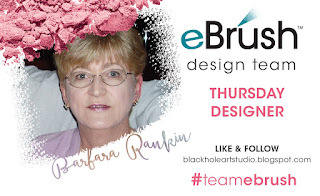 Barbara here on the Craftwell blog with a very patriotic Happy 4th tag. Of course, I am using my eBrush to make it all come together so easily and quickly. I took some liberties, no pun intended, adding white stars to the red tag, with blue and white striped butterflies, representing our freedom. 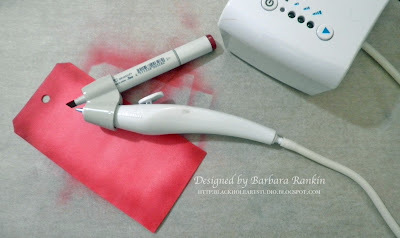 First, eBrush Carmine R37 over tag background, then darken the edges with the darker Garnet R39. 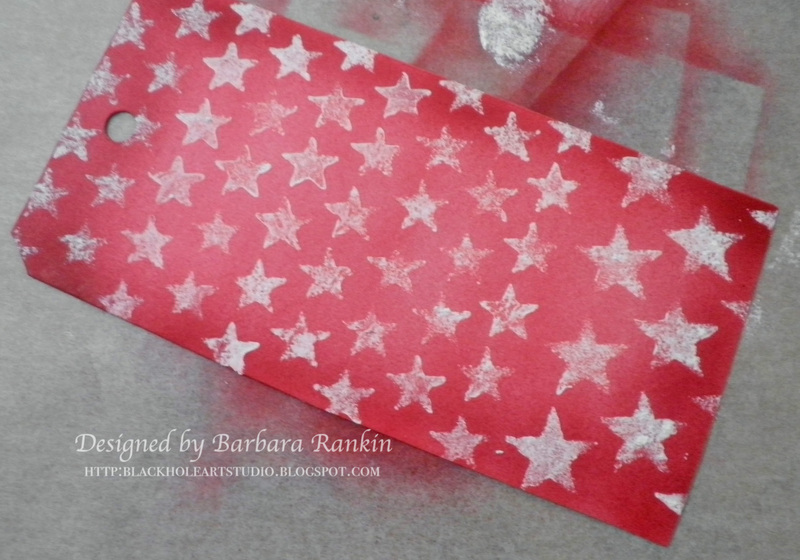 Sponge white paint through a stars stencil and let dry. 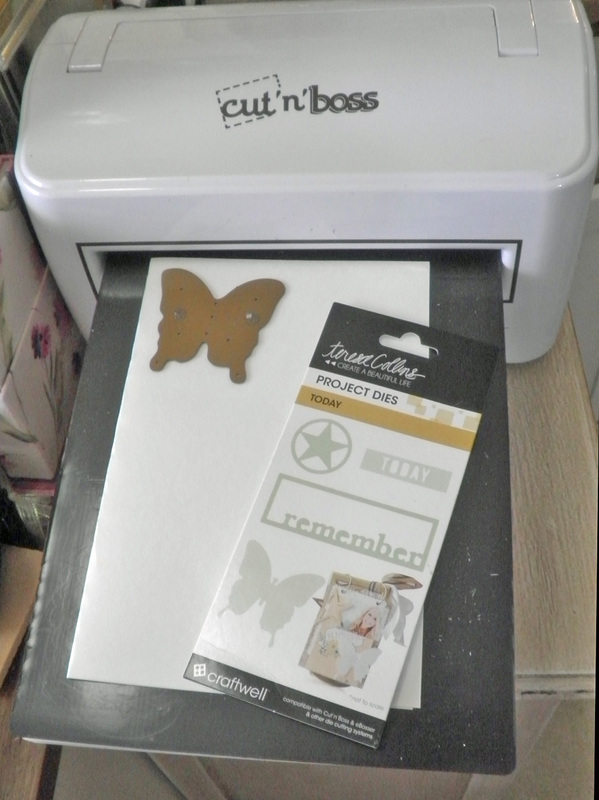 Die cut two butterflies with the Teresa Collins Project "Today" Die using the Craftwell Cut n' Boss. eBrush Royal Blue B28 through a stripes stencil over both butterflies, then offset the stencil and eBrush Ultramarine B29. 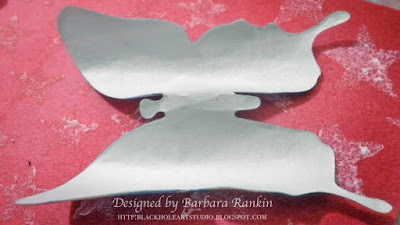 I was able to curl and shape the butterflies by misting the back with water and letting it dry. The paper becomes stiff and will keep its shape. 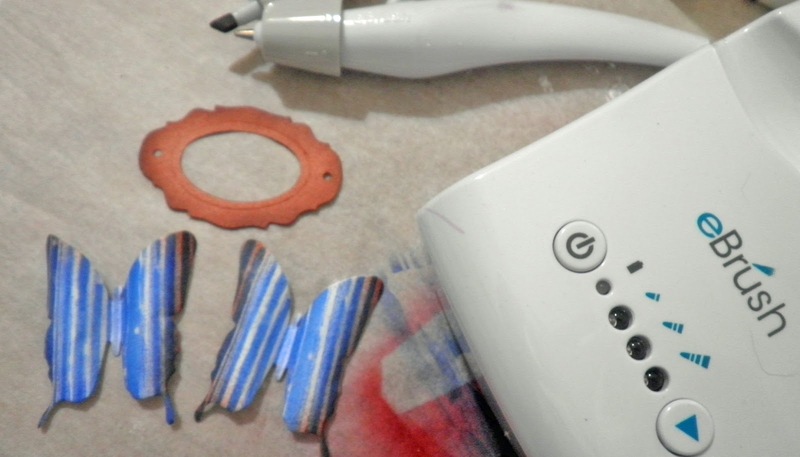 eBrush die cut book plate and tag reinforcement with Copper E18. Stamp Happy 4th onto a scrap piece of paper with blue ink and cut into an arrow shape, as shown. Now you are ready to assemble the tag. Simply adhere the pieces on your tag, as shown. I adhered the butterflies only along the body, adding tiny red stickers over the body portion, and pearls to indicate the butterfly's flight path. 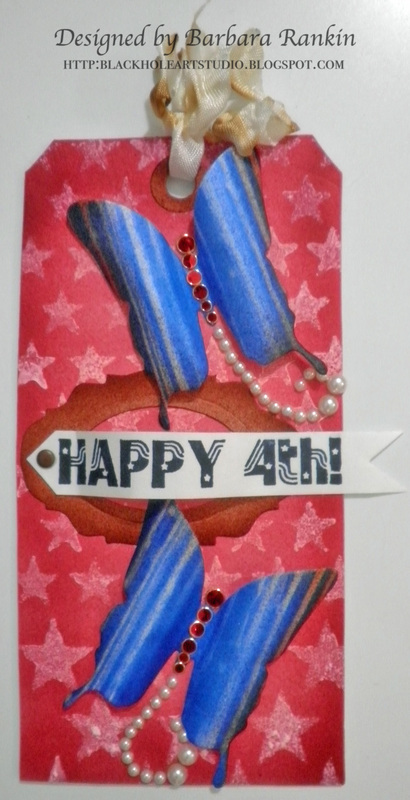 The book plate was centered on the tag and the Happy 4th banner was adhered with a wispy bend in the center. What a wonderful country we live in, and I just wanted to commemorate our Independence Day with a little remembrance of our nation's struggles and blessings. Thanks for stopping by, and have a fabulous, safe holiday!